This week the Moon changes from Sagittarius, Capricorn, Aquarius, then swims in sensitive Pisces (UT – Swiss). It’s also the start of Capricorn Season on the 22nd. The Sun is still shining in Sagittarius until FRIDAY, so happy belated/early/present birthday until then. Also, HAPPY BIRTHDAY to Capricorns everywhere come December 22nd. Mercury rests on Sagittarius is retrograde. You can expect our communications to turn upside down. Meaning, most of us will have a harder time holding our tongues, turning smaller problems into big ones. It also means major foot in mouth disease, where honesty doesn’t exactly mean justice or truth. Watch out for lewd, wild, or just outright rude comments from people – mostly left-handed comments, lol. And I don’t know about you guys, but I’ve witnessed a bunch of people in and out of social media getting grilled for what they’ve said, though it seems to be backed with good intentions. It’s always a misunderstanding of mind and words when Mercury is in retrograde. This December 23rd it will turn direct then it’s back to happy go-lucky, positive, humorous engagements. Venus is in Sagittarius until December 26th, where it will fall in love with Capricorn. You can expect relationships to be more lively, aggressive, casual and argumentative, lol. Single people will be ready to mingle, wanting to wrap up the year with some hot nights. This is also the time for people to be insensitive and non-committed. Keep it light and carefree until the 25th. On the 26th, Venus will end the year in Capricorn. All our attention will turn on our responsibilities, stability, and discipline. In other words, it’s time to be a boss again, lol. Monday, today, we are experiencing multiple Sagittarius (Moon, Mercury, and Sun). We are feeling joyous, playful, aggressive, brash, impulsive and our mouth pieces are shooting fire everywhere (calm it tf down, lol). Oh lawd, but it’s all good. Mercury is still in retrograde but will turn direct by the end of the week (Saturday). Until then, try to keep your opinions to yourself. The Capricorn Moon takes over and puts us in place. We will feel more disciplined, but because of the Sagittarius recklessness, some of us will have to pick up the pieces and may even feel overwhelmed by it. If you’re earth or water, you’ll feel more relaxed. If you’re fire, you’ll feel more motivated. Regardless, you’re going to feel like things just need to get tf done. You’re not even going to want to waste time with people. It ain’t worth it, lol. Put that on repeat. Through the weekend, we have an Aquarius Moon and Capricorn Sun bringing us back to realistic expectations. We will start to see things/people/situations as they are and not what we hope them to be. It’s also the start of the holidays for most of us, so just enjoy this moment with close friends and relatives. It’ll be an interesting vibe as you organize the festivities ahead. If you’re looking for last minute gifts, just remember to take notes from Aquarius and be thoughtful, resourceful and creative. You don’t have to spend hundreds of dollars to show people that you love them. Mercury also turns direct, so expect to be more carefree and impulsive with your money (keep it in check), lol. The week ends in Pisces, where our sensitivities will be heightened. You might even feel moody and lazy at this point, especially if you took advantage of the Capricorn Moon during the week. If not, then just expect to stay in and relax. Pisces is also the sign of compassion, so expect to be up in your feelings about a situation/person, lol. Forgiveness, especially around family, is also to be expected during this time. That or you might not want to confront a situation at all, swimming away to avoid any negativity or to dwell in your own negative vibes. [Left to right to bottom] Ace of Swords (Gemini, Libra, Aquarius), King of Pentacles (Aries/Taurus), Strength (Leo), and 5 of Chalices (Scorpio). The top three cards sit on disappointment, frustration, jealousy and even rejection (5 of Chalices), so it’s advised that you stay strong and carry on. The Strength card suggests that we need more confidence, patience, and tolerance for engagement with others, ideas we create (Ace of Swords), and of course money and stability (King of Pentacles). We might even be worried about the holidays coming up. Not everyone can afford to be extra generous this season, but that is okay. If you’re having trouble financially, feel stagnant at your job/career, or even feel like your life just isn’t progressing then look to Strength. She walks with head held high no matter the situation. You must have faith in yourself to continue and know that you can do whatever you set your mind to. 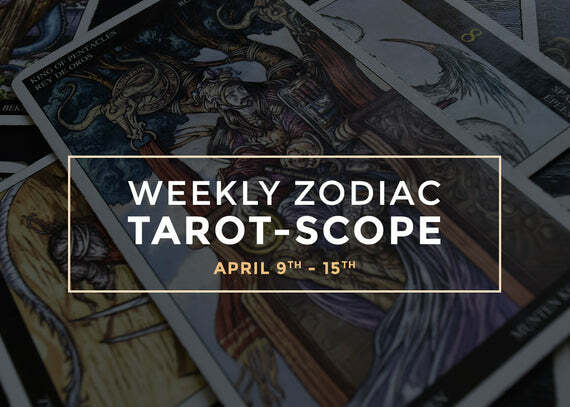 If you’re not having any issues in these areas, then it’s suggested that you don’t go looking for anything new until after this week or else you’ll be faced with rejection. For a personal reading with Joan Zodianz, click here. Tarot-Scopes is a merge between astrology and tarot reading. 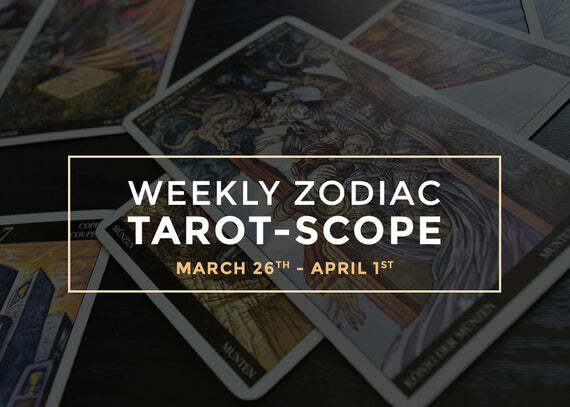 Joan Zodianz utilizes both to provide a more in-depth reading of this week's energies for every zodiac sign. To see the monthly overview, click here. 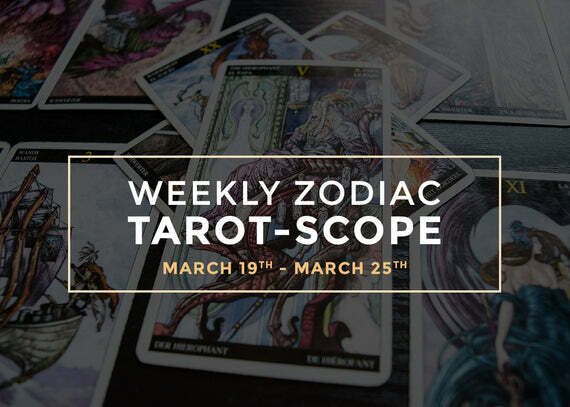 Tarot cards will serve as a general guidance for this week. Take any cards you perceive “negative” as warnings and use it to your advantage. Meaning, you have the opportunity to accept and change your outcome. ...you have the opportunity to accept and change your outcome.